When the last kick of the game is a stunning overhead kick that finds its way into the back of the net to secure a 2-1 victory, it is really the only place to begin to describe this afternoon’s fare in the Potteries. It had been an interesting as opposed to an enthralling game at Trubshaw Cross, with visiting Red Star Alma dominating the first half and taking the lead through an own goal when one of the centre halves flicked an in-swinging free kick into his own net. The second half saw Goldenhill come back into the game and they scored an unusual equaliser when a hopeful cross from the right hand side looped over the visiting goalkeeper and crept into the net at the far post. 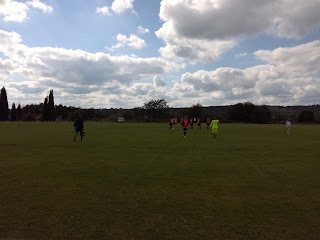 As we moved into injury time, the draw looked inevitable but a cross from the left was controlled on the chest by a Red Star forward, and with his back to goal he acrobatically produced a fantastic overhead effort that looped over the top of the goalkeeper and found the net. It truly was a stunning strike, and while the scenes on the pitch amongst the Alma players were pandemonium, the referee chose to blow the full time whistle before Goldenhill had time to re-start the game. That in itself must have left something of a bitter taste. 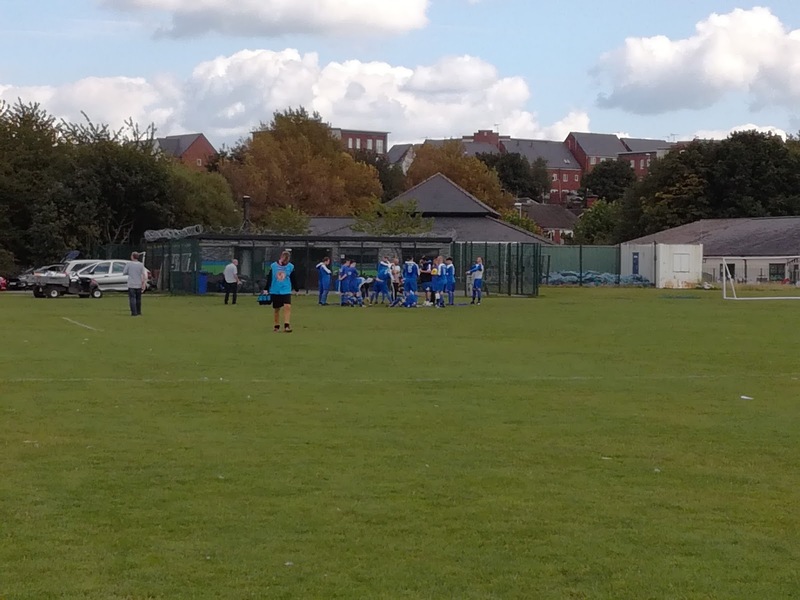 Apart from the infamous lights out / penalty incident at St Helens Town recently, it has to one of the most dramatic finishes to a game I’ve seen for a long while, and it will remain the abiding memory of a first visit to the new home of Goldenhill Wanderers. 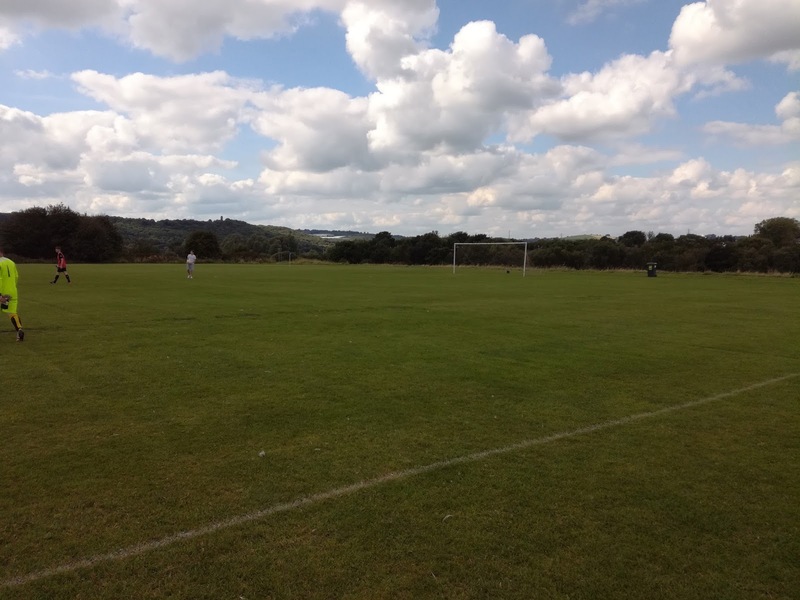 It came to light as the constitution of the Staffordshire County Senior League was announced back in June that the club who previously played at Sandyford Cricket Club, were relocating to Trubshaw Cross on the edge of the town centre of Burslem. 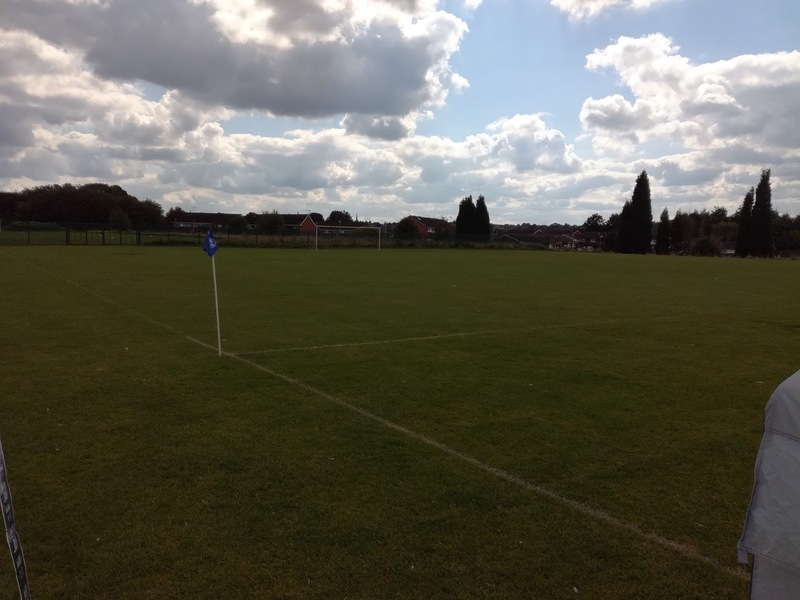 The ground at Trubshaw Cross is a collection of pitches that are used by a very well known football club called Staffordshire Ladsanddads. They are a club that were formed in 1967 and initially it was designed to be a place for lads who couldn’t make school football teams, to play football. Over the years players like Garth Crooks and the Chamberlain brothers have come through the Ladsanddads organisation and found themselves with professional careers. They have their own changing block and café area on the ground, but Steve and I after seeking some advice from the helpful staff in the café, chose to have a walk up the hill into the centre of Burslem. Our venue of choice was Ye Olde Crown on Westport Road which was full of Port Vale fans getting ready for the home game with Notts County. It was a proper football pub, and also something of a music pub as well, with the jukebox playing some classic Indie stuff, and Northern Soul being very much a theme. Apparently it is also home to the VLF according to a picture on the wall, now I’ve done some research into what this stands for, and it is either a collection of boys who like a rumble on the cobbles, or it stands for Vale Luxury Fabrics, I’ll leave you to make your own minds up on that one……. It Was Sunny - Honestly! Burslem is actually a fantastic place for pubs, I once had a day on the beer in the town prior to watching a game at Vale Park, and I have to say it was brilliant, lots of traditional venues, many serving local delicacies along with the selection of ales. I would recommend a trip to Burslem for anyone of that inclination. 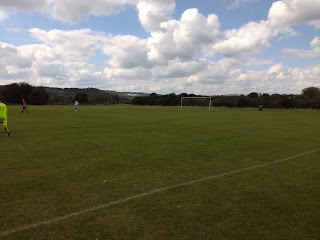 With the sun beating down we made our way back to Trubshaw Cross for the game, and you know already how that shaped up. The pitch itself was set to the back of the venue, and along with a couple of dugouts, it had a Respect tape down one side to stop the crowd invading the pitch. They needn’t have worried, the VLF were more concerned about Notts County’s visit up the road! A good day out, but it always is when the sun’s shining, the lager’s flowing and the last minute winner is an overhead kick.